Mr. Stern focuses his practice on a wide range of complex commercial litigation matters, particularly in the areas of contract, business tort, intellectual property and media law. 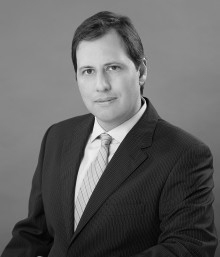 As litigation partner, Mr. Stern has represented commercial clients in all aspects of business, including conducting internal investigations and litigation diligence; managing litigation through discovery, motion practice, and trial phases; and negotiating successful resolution of contested matters. Mr. Stern has represented clients in federal and state courts, as well as before arbitration panels, in connection with copyright and trademark infringement actions, defamation and libel claims, and a variety of breach of contract and fraud actions. In addition, Mr. Stern advises on matters of negotiating and drafting commercial and industry agreements, including film/TV production agreements, publishing and recording contracts, clearances, licensing and distribution agreements. Representing a media production company asserting claims of copyright infringement for the unauthorized sale and distribution of a motion picture. Counseling a niche strategic financier asserting misappropriation of proprietary business material and documents. Representing a manufacturing company in a series of nationwide class action lawsuits alleging products liability and misleading advertising. Representation of a tourism booking company asserting claims of infringing domain name and web site tags. Representing an apparel designer in action for trademark infringement and false designation under the Lanham Act regarding the use of similar brand marks. Representing book publisher in court action for defamation in connection with the publication of a non-fiction work. Representing a restaurant group in bringing claims of fraudulent inducement and misrepresentation in connection with a commercial lease. Counseling a record label with regards to establishing claims of joint authorship and trademark use. Representing an international not-for-profit medical organization in connection with trademark infringement claims. Representing in arbitration a publisher defending claims of breach of publicity provisions in an author’s agreement. Representing non-profit entertainment organization in trademark infringement litigation regarding the use of protected elements in a syndicated television program. Counseling of musical act regarding claims of unlawful termination of an international music input contract. © 2017. Frigon Maher & Stern LLP. All Rights Reserved.